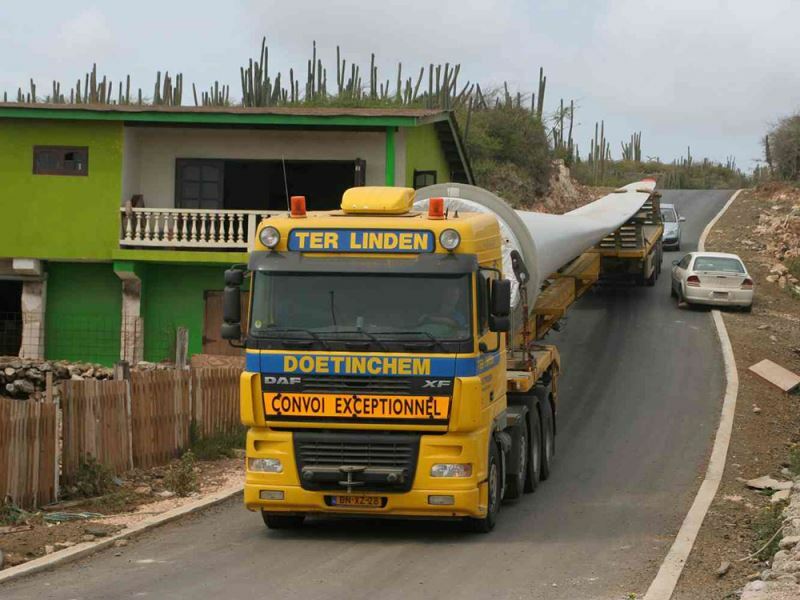 Two existing wind farms in Curacao at Terra Korá, 12 turbines installed in 1992, and Playa Kanoa, 18 turbines installed in 1999, were replaced by 10 turbines of the 3 MW class. On behalf of NuCapital, ABT was involved as engineers and for the foundation design. 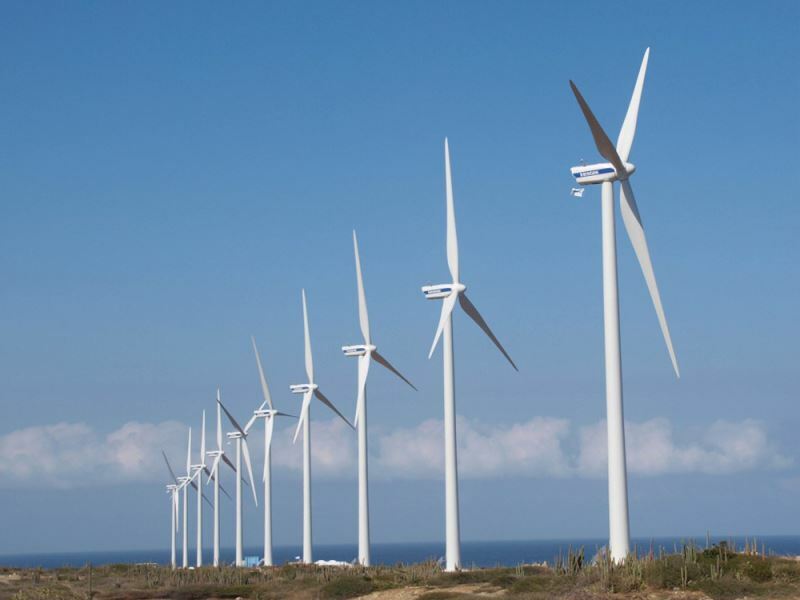 The new wind turbines have a hub height of 80 metres and a rotor diameter of 90 metres. 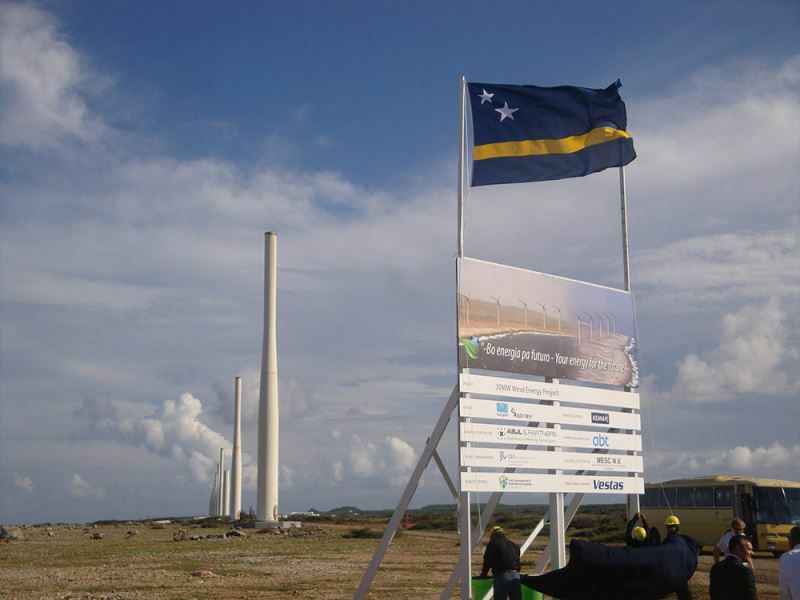 The project was executed in a very short period between May 2010 and December 2010, almost 5 months shorter than usual. 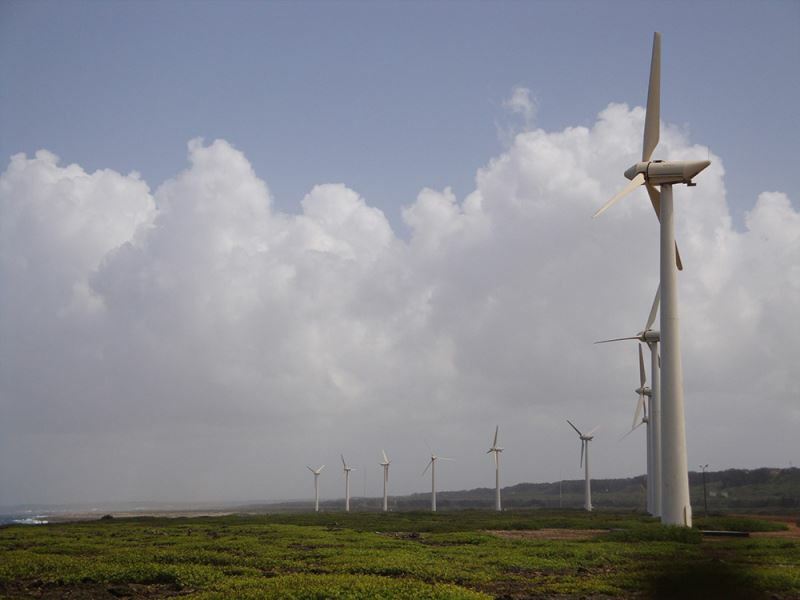 The Vader Piet wind farm consists of 10 turbines of the Vestas V90 type with a hub height of 80 metres. 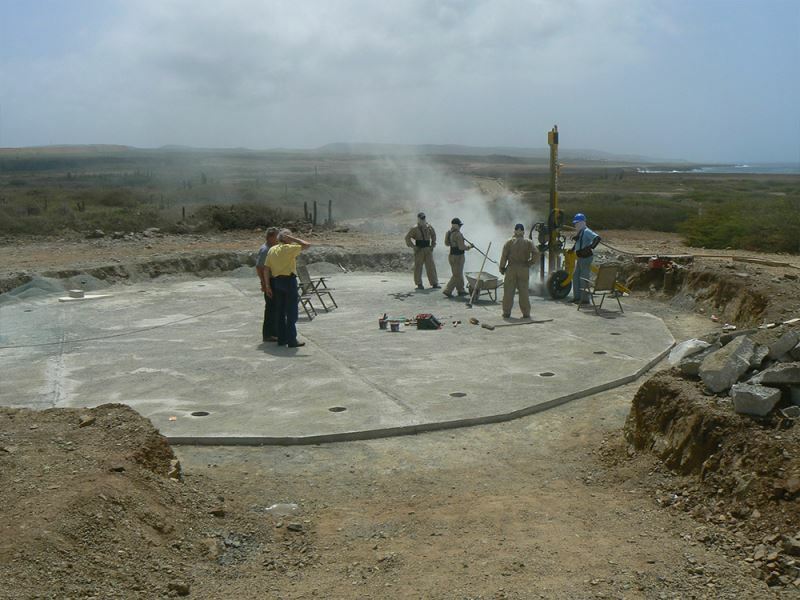 The foundations consist of circular concrete bases with a diameter of 13 metres, which are anchored in the limestone rock. The 24 GEWI anchors have a steel diameter of 63 mm and are drilled into the rock to a depth of 10 metres (drill diameters of 200 mm). Several test anchors were installed to examine the behaviour and bearing capacity of this rock. 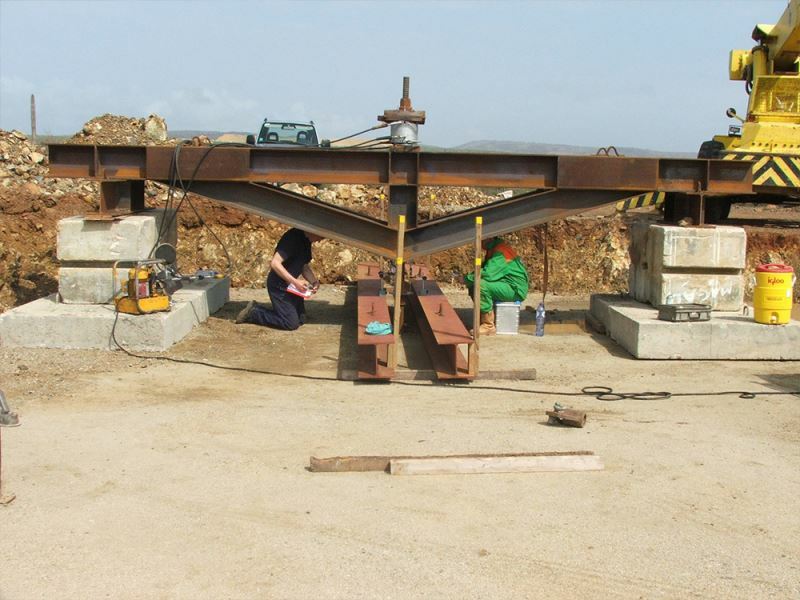 Due to its high capacity, it was possible to strongly reduce the size of the foundation bases. The sub soil was also subjected to plate bearing tests. Based on the test results, an inspection programme was performed. 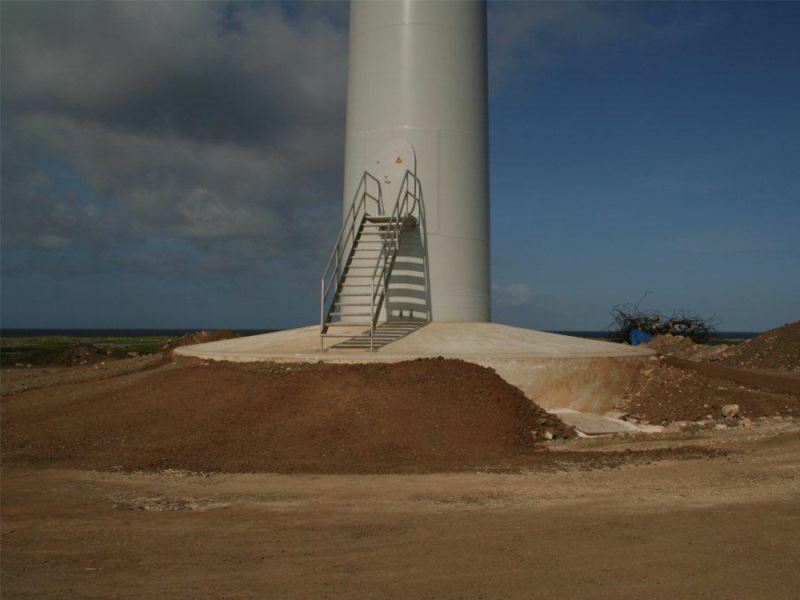 In total, the Vader Piet wind farm produces 20% of Aruba’s total electricity needs.